Most jobs that demand lots of physical activity (e.g. Industrial jobs, production gigs) require that employees possess some form of specific knowledge in the operations that are involved in the process. Special knowledge is needed when handling sensitive materials, operating heavy duty machines and when working in peculiar conditions. This knowledge can only be availed by the means of training which the employer is expected to provide for all his staff members. The reason why training is important is that a well-trained personnel has a slimmer chance to get injured on the job. 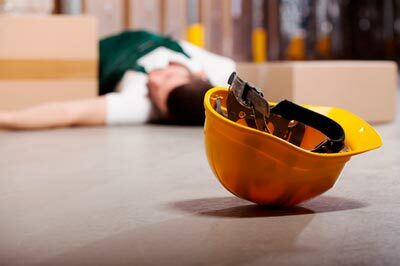 Now, if you or someone you know has sustained a serious injury while at work, it is important that you file to get compensated as your employers are expected to provide financial settlement in the light of the accident. To ensure that your rights are not overlooked, you need a capable attorney to bring things to focus and seal your victory. At Rawa Law Group we provide stellar legal services to you without any need for an advance payment. We are pleased to handle your case and bring you the victory you deserve for all you’ve been through. In Corona, our Work Injury attorneys are revered for their practical and thorough approach. We have got the resources and the experience to handle your claim flawlessly. Kindly reach out to us today for more information.